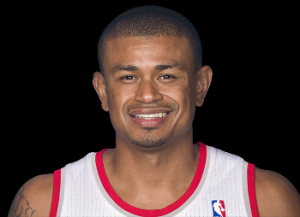 Earl Joseph Watson Jr., born on the 12th of June, 1979, is an American basketball coach of the National Basketball Association (NBA) team the Phoenix Suns. He became famous as a former basketball player in the NBA, from 2001 playing for 13 seasons with various teams before becoming a coach. So how much is Watson’s net worth? As of early 2017, based on authoritative sources it is reported to be $16 million, acquired from his years playing as a professional basketball player in the NBA and also his earnings as a coach. Born in Kansas City, USA, Watson is the son of Earl Sr., who came from African American descent, and Estella, who is of Mexican American descent, and has four brothers and a sister. Watson started playing basketball at a young age starting from his high school years at Washington High School in his hometown of Kansas City. After matriculating, he then played with his college team University of California, Los Angeles where he made history over four years as a starter, actually starting the most games in the history of his school’s basketball team. His performances in the team also earned him All-Pac-10 First Team Honors. His accolades in college led Watson to be drafted into the 2001 season of the NBA, the 39th overall pick by his first team, the Seattle SuperSonics; his contract officially started his professional career in basketball and also his net worth. Watson spent 13 years in the NBA playing with various teams. After playing with the SuperSonics until 2002, he then played for the Memphis Grizzlies from 2002 to 2005, followed by the Denver Nuggets from 2005 to 2006. He then went back to the SuperSonics, and also played with the Oklahoma City Thunder during 2006 to 2009. After that he also spent some time with the Indiana Pacers from 2009 to 2010 and with the Utah Jazz from 2010 to 2013. The last team he played with before retiring was the Portland Trail Blazers from 2013 to 2014. Although he transferred from various teams during his stint in the NBA, it still helped with his career and tremendously increased his net worth. After retiring, Watson still stayed in the world of sports, switching from player to being a basketball coach. The first team that he has worked with was the Austin Spurs as an assistant coach in 2014. The following year he joined the NBA team, the Phoenix Suns as their assistant coach, and after only one year, he became the team’s head coach, one of the youngest coaches in the history of the NBA. He also became the first from his college’s team, the UCLA Bruins, to become a head coach in the NBA, and also the first head coach of Hispanic descent. His salary is reputed to be close to $1.5 million, continuing the rise of his net worth. In terms of his personal life, Watson married Jennifer Freeman, an actress, back in 2009, but after only a year of marriage the two separated. After reconciling for a while, they finally ended their relationship in divorce in 2015. They have one daughter.